Made from a stretch denim twill, take to the weekends in our favourite Simone fit with a comfortable, relaxed leg. 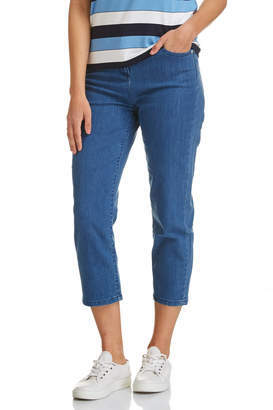 These cropped jeans have a waistband with button-through styling, fly front, five pockets and are trimmed with metal hardware. Complete the look with a Liberty Shirt or Heidi Tee.